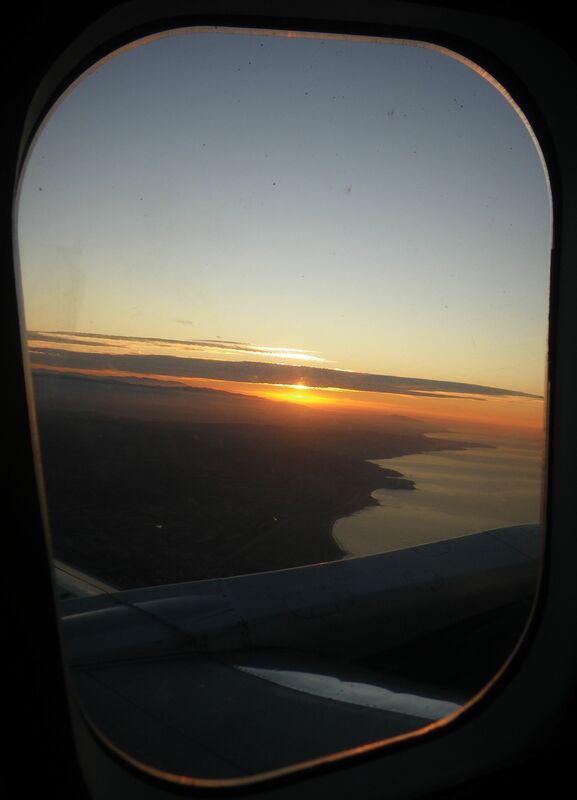 leaving warm California for the East coast. 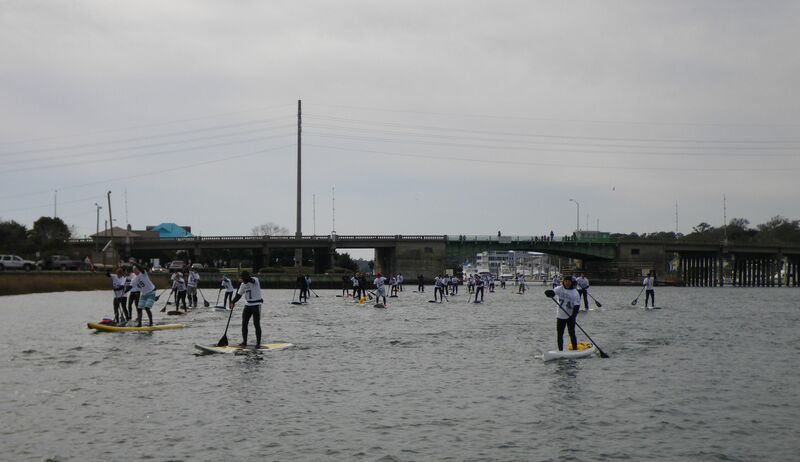 This was one of those special chaotic times where chasing big waves fell on the same time as a big SUP race. There was a pretty solid Winter swell hitting Hawaii with perfect conditions that I really wanted to chase at the same time as the “Cold Strokes Classic” SUP race that was put on by Jeoffrey Nathan, owner of Coastal Urge in Wilmignton, North Carolina. Kialoa, my paddle sponsor, was the title sponsor of the event and had asked me to fly out and help promote and race in the event as well as teach a paddle and race clinic. I flew into Wilmignton, N Carolina Thursday night and met up with Dave and meg Chun, Owners of kialoa paddles and Jeoffrey and kat Nathan, Owners of Coastal Urge and visionaries of the Cold Strokes Classic paddle. We all went to a nice dinner and discussed our game plan for the paddle event and race clinic. 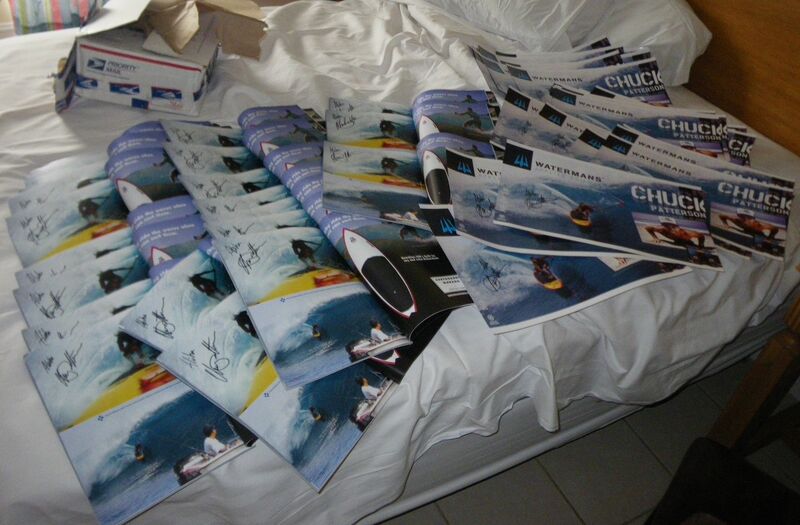 The next day started with a great breakfast at the hotel with Meg and Dave and 2 box’s of SUP magazines and posters that Coastal Urge wanted me to sign to give away to all the races at the event. Around mid day we visited the Coastal Urge SUP store before going to dockside to set up the Kialoa tent and get ready for my paddle and race clinic. 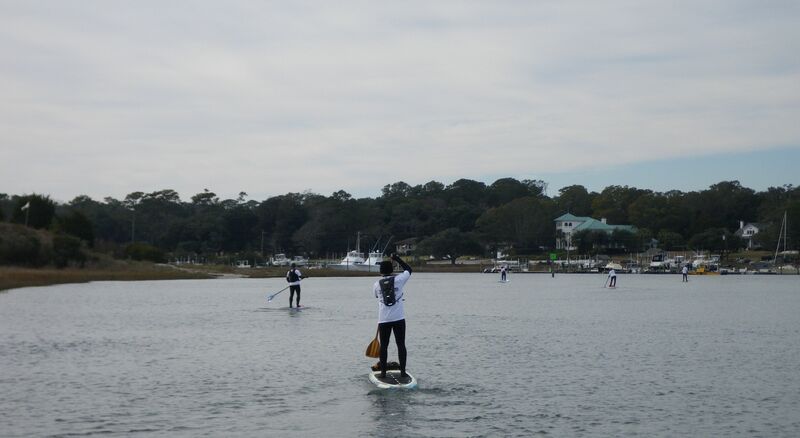 I was so amazed to see so many stoked people from all over, like Florida, S Carolina, new Jersey, Michigan and New England at the paddle clinic because it was so cold and windy. 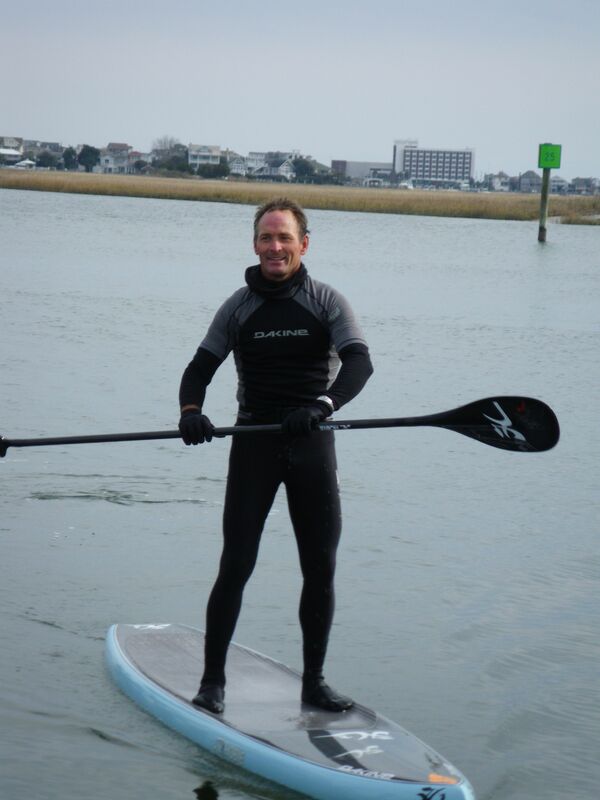 After a half hour of lecturing on paddle stroke and racing tips we all headed to the water for a good paddle. 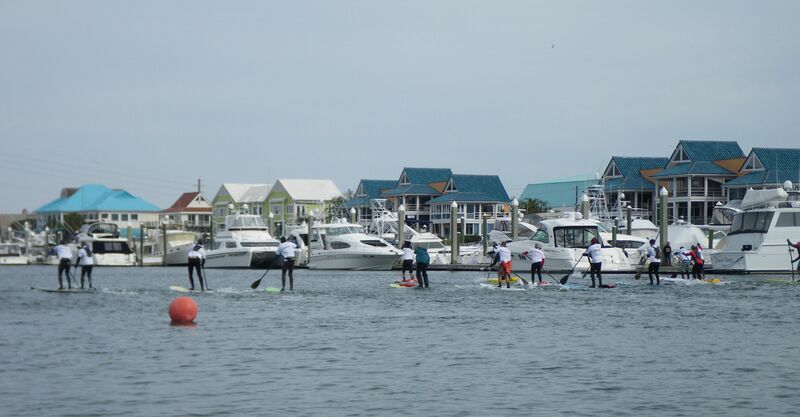 It was great to see everyone so pumped on paddling and eager to take it to the next level. Later that evening all the racers gathered at the Dockside restaurant for the opening ceremony dinner where we were all treated to live music and a Polynesian fire dance. Shortly after, I showed a quick 10 minute SUP video that Chris Agular from “The Stand Up project” edited for me. and then we ended the night with some great music from a local live band. 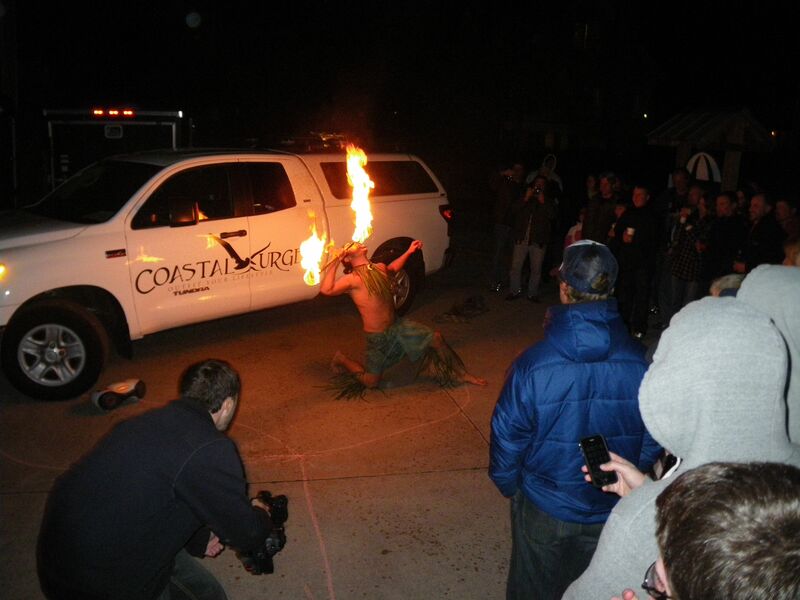 Polynesian fire dance at the opening ceremony. “A good nights sleep and ready to roll for race day”. Another great breakfast at the hotel with all the racers and then off to the event site for an 11 o’clock skippers meeting. “Could it be any colder”?? 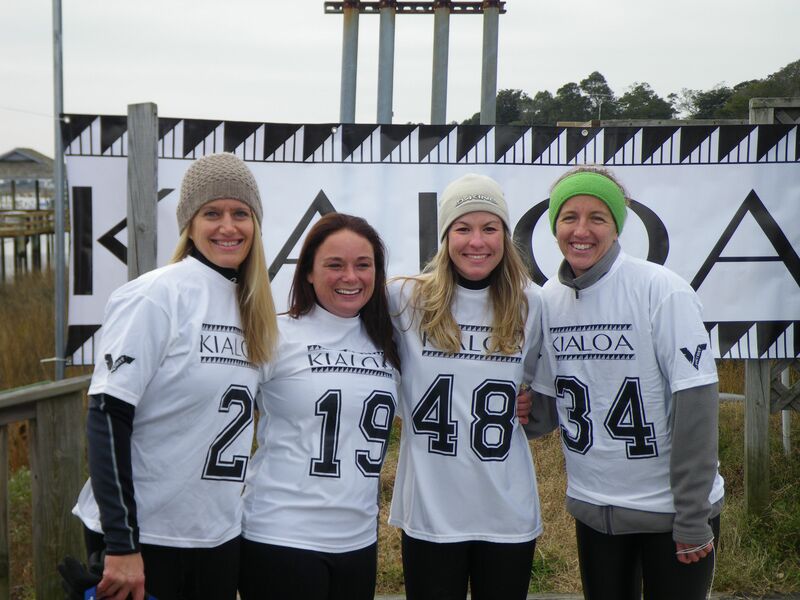 28 degrees out with a light North east wind, just perfect for a good day of paddling…..
Kialoa team mate Karen Wrenn, sharing the love..
Elite race start.short course racers about to start. Racers paddling under the first bridge of the race. 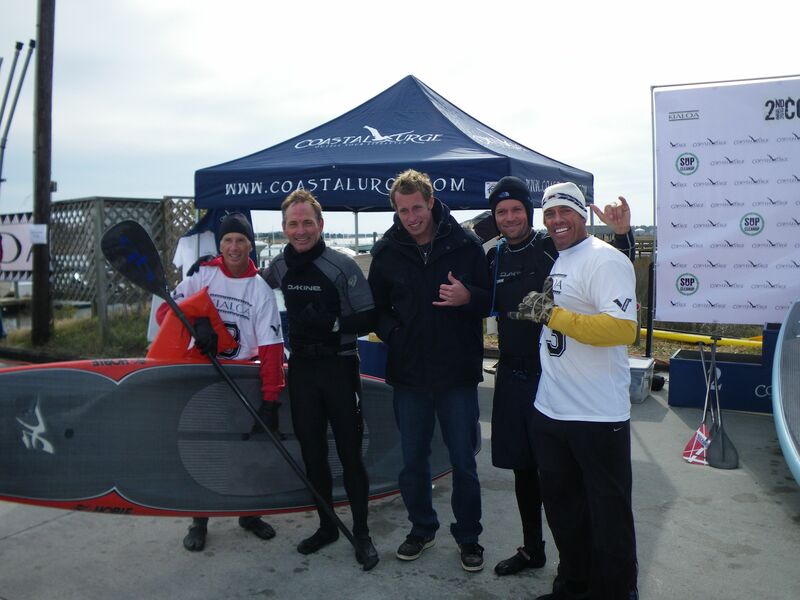 Byron Kurt, 1st place Elite finisher "Team Hobie"
Team Hobie stoked on the East coast. It was awesome to see my Hobie team mates “Byron Kurt finish 1st and Colin McPhilips finish 3rd behind good friend EJ in the elite race. “job well done, boys…” and a big congrats to Brandi for throwing it down for the ladies.. I really want to thank Jeoffrey Nathan and his wife Kat for putting together such an awesome, well run event and to Meg and Dave from Kialoa, for sponsoring the event and flying me over and to all the great East coast paddlers that I met paddling. And a huge thank you to my wife for holding it all together during my crazy travel schedule.